Eaton Hill is named after the John Eaton family who made the property their home from 1913 until 1996. John Eaton's father acquired the Sonora Waterworks and Ice Plant in a trade and moved his family from Rocksprings to Sonora when John Jr. was nine years old. As a youth, John Jr. played center on Sonora's first football team and as an adult contributed to the community in many important ways. John Eaton Jr. operated Eaton Electric for many years, was a 50+ year member of the masonic lodge, an elder in the Church of Christ, and a charter member of the Sonora Lions Club. John became the scoutmaster of the local boy scout troop in 1928 and went on to serve more than twenty years in the organization. 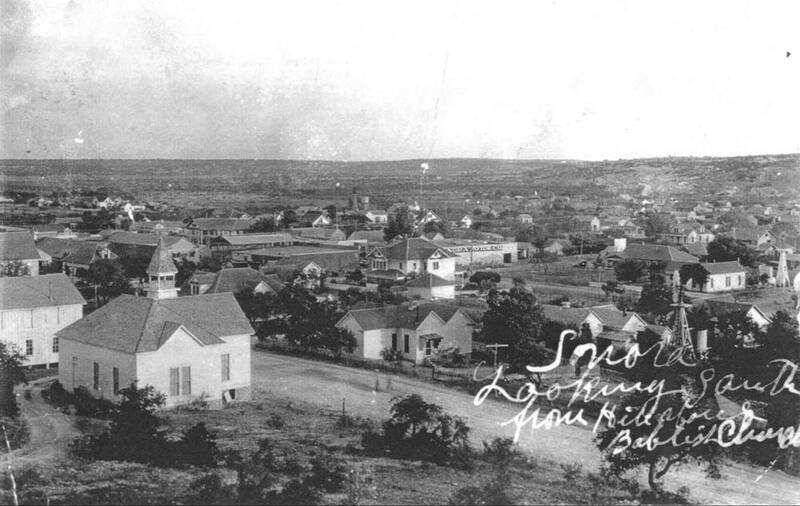 PHOTO CAPTION: A turn of the century view of Sonora from the property that would become Eaton Hill Nature Center's present-day acreage. The base of City Hill Road is visible in the bottom left corner of the photo, placing the photographer at the approximate present day location of Buckeye Trailhead. John Eaton Jr. left a legacy of history behind, both through his own contributions and through his hobby of collecting and preserving the history of Sutton County. Eaton interviewed many of the earliest settlers of the area and compiled their tales. Additionally, John authored "Will Carver - Outlaw," a book about a member of Butch Cassidy's Hole-in-the-Wall Gang who was killed in Sonora in 1901 and burried in the local cemetery. 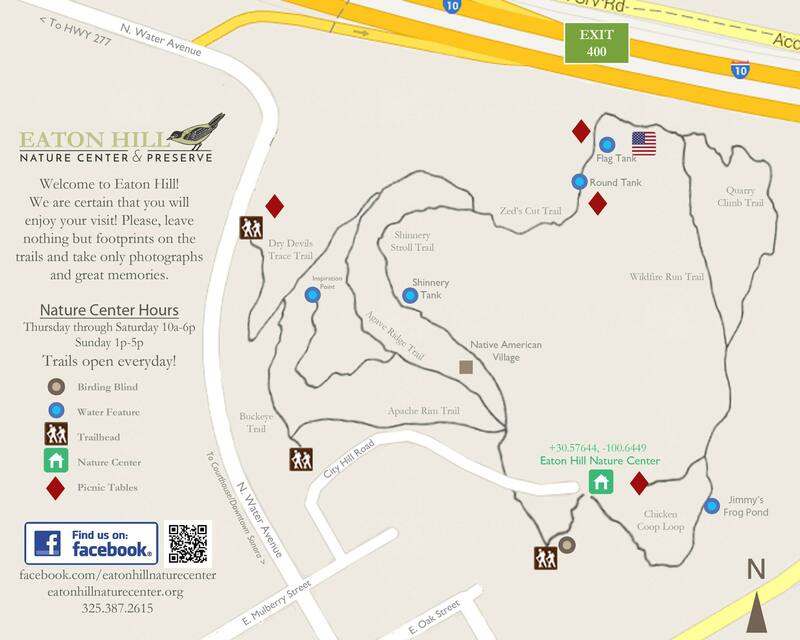 The book can be found in the library at current day Eaton Hill Nature Center. John, his wife Ruth, their son John and daughter Nancy called the facility that now houses Eaton Hill Nature Center their home in this uniquely beautiful piece of West Texas. They will forever be a part of Eaton Hill. Siblings Dr. John D. Eaton and Nancy Eaton Grooms along with their families are pleased to share their beloved childhood home and site of many memorable adventures with those who stop to hit the trails.